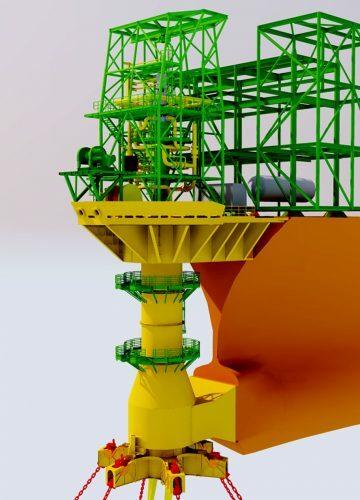 Inherent in all of LMC’s own turret and mooring EPC and design projects, the company provides extensive Project Management and Owners Engineer services for owners, third party clients and major contractors. This Project Management service is often provided in conjunction with engineering and technical support services, and/or client “Owners Engineer” services on a large number of projects. LMC’s offices are globally positioned to ensure that our clients have around the clock support from the management team during the course of the project. The company prides itself on maintaining a close relationship with the client throughout the project in order to manage the interfaces efficiently and professionally. LMC can also integrate within the client team by seconding engineers to the client offices. LMC has proven over its long history that it is very competitive with costs whilst also working flexibly with our clients to accommodate their needs and budgets in the current market. LMC’s mission is to be the company that clients repeatedly trust to deliver projects on time, on budget and with a friendly and collaborative approach to doing business. LMC strives to build a strong everlasting partnership with all our clients.